The PX20 from Coast features five super bright white LEDs and a red LED with each color controlled by its own switch. 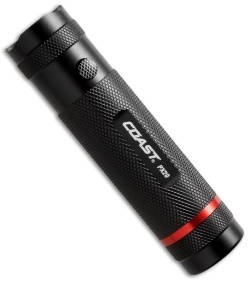 The white light is for general flashlight use, while the red LED is perfect when you only need minimal light, such as when reading a map. Coast's Max Beam Optic System combined with the 5 high quality white LED's gives you a broad, diffused beam that lights up a large area with no dark spots. Built tough, an impact-resistant, lightweight aluminum casing resists rust and corrosion. Tested and rated to ANSI/FL1 standards, the PX20 also features unbreakable LED’s and rubberized O-ring for reliable water resistance and durability. Backed by Coast's lifetime warranty against defects in materials and workmanship.